Sometimes, our lives seem stagnant, we have a "same old, same old" mentality that keeps us from looking at the world with wonder, curiosity and excitement. Most of the time, we can ignite that fire from within and sometimes it is fun to aid that ignition from the outside with a setting that is supportive of change. 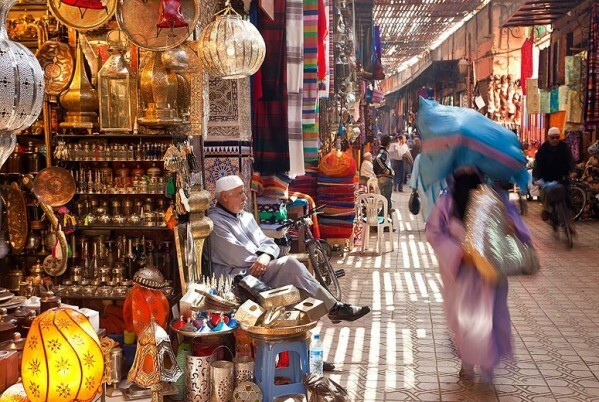 As we explore mystical Moroco with it's magical alleyways, bustling markets, friendly locals, divine cuisine, lush textiles, aromatic spices, spiritual sites and inviting nature, we take ourselves back in time where things were simpler so that we can rediscover and enjoy the things that can, and will, excite us about our lives. In our retreat we will not be only taking all those journeys on the outside, we will also be taking them on the inside through Yoga, breathing, meditating and introspective reflection. The purpose of the retreat is to shake things up a little bit, give us new perspective, take a step back and re-evaluate our values, decisions and blessings in this life. We will be staying in a traditional Riyad, a charming villa with a central courtyard run by locals at the old Medina in Marrakesh. Agadir feels unlike anywhere else in Morocco. A busy port and beach resort sprawling beneath its kasbah, the city was completely rebuilt following a devastating earthquake in 1960. It is now the country’s premier destination for sun, sand, pubs and pizza. Laid out as a large grid of downtown streets, surrounded by spacious residential suburbs, Agadir’s concrete-covered inland quarters are ugly and sterile. However, the city hits its stride on the beachfront promenade, where Moroccan street life comes with a refreshing sense of space. Arching south of the shiny white marina, the sheltered sandy beach offers clean water and 300 sunny days a year. Agadir caters mainly to package-tour holidaymakers, and will appeal less to independent travellers with an interest in Moroccan culture. Families will also enjoy relaxing on the beach and wandering around the handful of sights. If you do not have children in tow, however, we recommend heading elsewhere to make the most of a visit to Morocco. The city spreads over a large area, both along the coast and inland from the huge swath of beach. From the northern end of the beach, near the marina and port, three parallel streets – 20 Août, nearest the ocean, Mohammed V and Hassan II – run through the main tourist area. Other guests bring flowers, but Yves Saint Laurent gifted the Jardin Majorelle to Marrakesh, the city that adopted him in 1964. 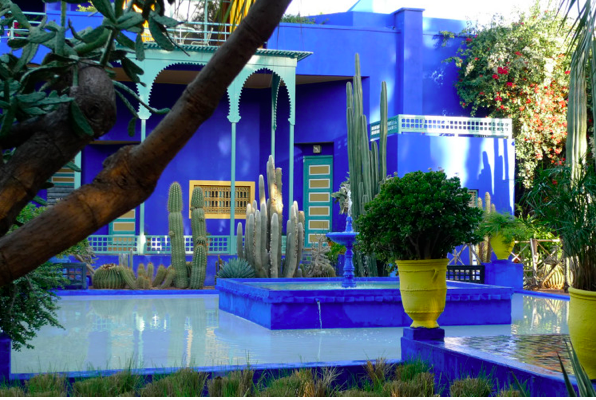 Saint Laurent and his partner Pierre Bergé bought the electric-blue villa and its garden to preserve the vision of its original owner, landscape painter Jacques Majorelle, and keep it open to the public. Thanks to Marrakshi ethnobotanist Abderrazak Benchaâbane, the garden Majorelle began cultivating in 1924 is now a psychedelic desert mirage of 300 plant species from five continents. Majorelle’s art-deco studio houses a Berber Art Museum , showcasing the rich panorama of Morocco's indigenous inhabitants in displays of some 600 artefacts, including wood, leather and metalwork, carpets and textiles, musical instruments and a display of traditional dress that makes Star Wars costumery look staid and unimaginative. Best of all is the mirrored, midnight black, octagonal chamber displaying a sumptuous collection of chiselled, filigreed and enamelled jewels that reflect into infinity beneath a starry desert sky. Exit into the boutique with its handsome coffee-table books and pricey souvenirs: Majorelle blue slippers, perfume, and pillows embroidered with YSL. The cafe offers drinks at high-fashion prices but you can’t argue with the view. Imagine what you could build with Morocco’s top artisans at your service for 14 years, and here you have it: La Bahia (the Beautiful) has floor-to-ceiling decoration begun by Grand Vizier Si Moussa in the 1860s and embellished from 1894 to 1900 by slave-turned-vizier Abu ‘Bou’ Ahmed. But the Bahia proved too beguiling: in 1908 warlord Pasha Glaoui claimed the palace as a suitable venue to entertain French guests, who were so impressed that they booted out their host in 1911, and installed the protectorate’s résident-généraux here. Though only a portion of the palace’s 8 hectares and 150 rooms is open to the public, you can see the unfurnished, opulently ornamented harem that once housed Bou Ahmed’s four wives and 24 concubines. The quarters of his favourite, Lalla Zineb, are the most spectacular, with original woven-silk panels, stained-glass windows, intricate marquetry and ceilings painted with rose bouquets. Think of it as live-action channel-surfing: everywhere you look in the Djemaa el-Fna, Marrakesh’s main square and open-air theatre, you’ll discover drama already in progress. The hoopla and halqa (street theatre) has been non-stop here ever since this plaza was the site of public executions around AD 1050 – hence its name, which means ‘assembly of the dead’. The show doesn’t peak until shadows fall and 100 chefs arrive with grills in tow, cueing musicians to tune up their instruments. This is a show you don’t want to miss – but stay alert to horse-drawn-carriage traffic, pickpockets and rogue gropers. Arrive early in the evening to nab prime seats on makeshift stools (women and elders get preference). Applause and a few dirhams ensure an encore. It's a bargain show, and critically acclaimed too: for bringing urban legends and oral history to life nightly, Unesco declared the Djemaa el-Fna a ‘Masterpiece of World Heritage’ in 2001. Essaouira is at once familiar and exotic with its fortified walls, fishing harbour and seagulls soaring and screaming over the town. At first it seems as though this could be a town in Brittany, France – not such a strange thought given that Essaouira was designed by the same Frenchman who designed Brittany’s most famous port town, Saint-Malo. And yet once you enter the walls, it is also infinitely Moroccan: narrow alleyways, wind that reputedly drives people crazy, the smells of fish guts and damp sea air mixed with aromas of spices and thuya wood, women in white haiks (veils), midday palm-tree shadows on red city walls, and the sound of drums and Gnawa singing reverberating from shops and houses. It is the coastal wind – the beautifully named alizee, or taros in Berber, that, despite the crowds, ensures Essaouira retains its character. It blows too hard to attract sun, sand and sea tourists: for much of the year, you can’t sit on the beach at all as the sand blows horizontally in your face. No surprise then that Essaouira has been dubbed ‘Wind City of Africa’ and attracts so many windsurfers. 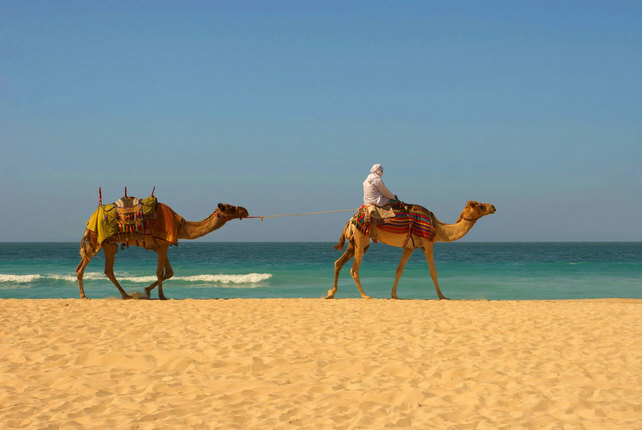 Sun-seekers head further south to the temperate clime of Agadir. The charm of the town is that it hasn’t been entirely taken over by tourism. The fishing harbour is just as busy as it always was, the woodworkers are still amazing at their craft and the medina is just as important for locals as it is popular with tourists. Essaouira lies on the crossroads between two tribes: the Arab Chiadma to the north and the Haha Berbers in the south. Add to that the Gnawa, who came originally from further south in Africa, and the Europeans, and you get a rich cultural mix. The light and beauty have forever attracted artists to Essaouira, and the town has a flourishing art scene. The sculptor Boujemâa Lakhdar started the local museum in the 1950s and, in the process, inspired a generation of artists. Since then, the autodidactic naïf painters, who paint their dreams in a colourful palette, have earned international renown, mainly thanks to the efforts of the Galeries d'Art Damgaard. Winter is the time to get closer to the real Essaouira, when the wind howls at its strongest and the waves smash against the city’s defences.